Budget DCP is an affordable service created by filmmakers who understand that getting your film to screen properly at festivals is no small feat. With years of experience in the film festival trenches, we've seen it and all and are here to make sure that your film plays effortlessly at any digital cinema worldwide, and costs you - the filmmaker - as little as possible. 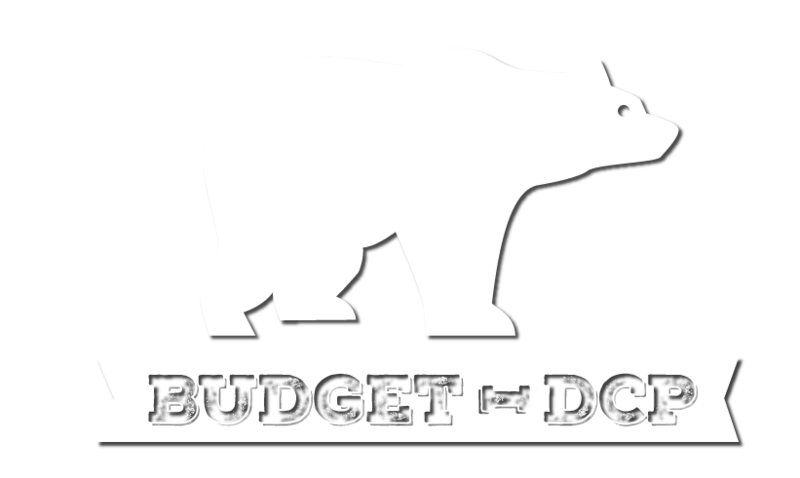 Budget DCP often partners with film festivals to provide discounted rates for filmmakers. If you are a film festival in need of DCP services, we can provide totally rad deals for your filmmakers. All DCP's we make are fully DCI Compliant and are professionally quality controlled. We watch every minute of your film. Seriously, we don't mess around! Why Do I Need A DCP? Blu Rays sometimes fail, and if a file of your film is being played directly off a computer, all sorts of funky stuff can happen to the picture that can make your film look off. Many film festivals are now requiring DCP's for shorts and features. All DCP's provided by Budget DCP are fully DCI Compliant and Unencrypted. They strictly follow the Digital Cinema Naming Convention and are formatted to ISDCF Specifications. You will receive a Linux ext2/ext3 formatted drive with an inode Size of 128 bytes and no blocks reserved for the operating system. This is a "theater ready" drive designed for direct ingest by a projectionist into any digital cinema server. Modern digital cinema exhibition can be presented by a very wide variety of servers and projectors manufactured over the past decade. It is critical to adhere to these standards to insure that your film will ingest and play smoothly in any digital cinema. Your "theater ready" drive is not made to be read by Windows or Mac OS. Do not plug it into your computer or any other device. Do not attempt to access the drive with third party software, filesystem drivers, or virtual machines. Doing so could cause damage or corruption to the filesystem on your DCP. Budget DCP highly recommends that you deliver a physical DCP exhibition copy to the film festival or cinema at which you are screening. However, festivals may request that you submit a digital download, or upload your DCP to them. In this scenario Budget DCP can provide web hosting of your DCP files for one year while your film plays the festival circuit. For short films a 30 day download link is provided with every DCP free of charge! What format of file should I submit to have my DCP made? While Budget DCP can make a DCP out of almost any file, we want the best looking master of your film that you got! For 4:3/1.33 aspect ratio films, please pillar-box to 1.85 Aspect Ratio. If your film has a non-standard aspect ratio, Budget DCP will scale it to fit the best sized resolution without losing any of your image. If your film is delivered at 23.976FPS it will be converted to 24FPS. 5.1 Audio: Separate discrete WAV files for each channel in your 5.1 mix. Audio files must be the same exact length as your video or your film will be out of sync. In addition, please provide stereo audio as part of the Quicktime Movie. For compatibility with all venues it is recommended that you provide a 5.1 or 3 Channel (L,R,C) mix of your film as discrete audio files. We recommend your subtitles are superimposed on your film. Your file should include 1-3 seconds of black before your film begins, and 1-3 seconds of black at the end of your film. No countdowns, color bars, 2 pops, or extra black without audio should be at the beginning or end of your film. Can't I just make my own DCP? However, we have found that the free or inexpensive software tools available are inconsistent at best. They can easily create DCPs that are unplayable and that do not meet DCI Compliance. Common errors we see in "homebrewed" DCPs include: bad aspect ratios and image formatting, incorrect color space, gamma shifts, over bitrate violations, XML DCP packaging errors, short films identified as features, and incorrect digital cinema naming conventions. Most often, "homebrewed" DCPs will be formatted incorrectly as exFAT, HFS, NTFS, EXT4, or have the wrong inode size.